Panelists on PeopleMatters TV discussed about identifying HiPOs in their organizations, measuring their performance and upskilling them to become the next CEOs. Tapping into the existing potential in order to help build a robust C-Suite is crucial for these panelists. The search for a CEO could turn into an uphill climb for HR leaders if not done right. Tapping into the existing pool of talent can prove beneficial to streamline the hunt for a CXO. 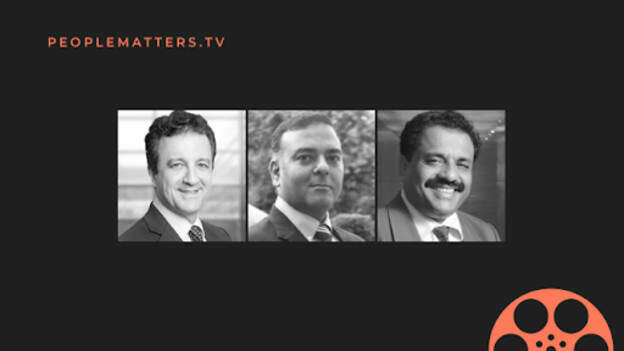 Panelists on PeopleMatters TV talked about the need for identifying high-potential (HiPOs) individuals internally, measuring their performance and coaching them in a way that they develop into the next CEOs and CXOs. The panelists included Dr. Ric Roi, Managing Director for Leadership & Succession, Russell Reynolds Associates, Asia Pacific, Dr. Prince Augustin, EVP, Group Human Capital & Leadership Development, Mahindra & Mahindra, and Subeer Bakshi, Head- Talent Acquisition, HR Partners & Engagement, Bajaj Finserv. Within Southeast Asia, the culture of choosing CEOs internally is still prevalent, said Dr. Ric Roi, Managing Director for Leadership & Succession, Russell Reynolds Associates, Asia Pacific. Roi said most companies in the region struggle with getting C-Suite ready leaders who are able to fill in the shoes of the legacy builder CEOs who have established the business but are now nearing retirement. Companies like Bajaj follow a dual approach, said Dr. Prince Augustin, EVP, Group Human Capital & Leadership Development, Mahindra & Mahindra. When it comes to the C-Suite, the company takes an 80:20 approach wherein 80 percent of the executives are chosen internally while 20 percent are brought in externally. There are four factors that help in identifying the right talent for the C-Suite: Competencies, Potential, Readiness and Business Need. Identifying the various competencies not only within the individuals working in your organization is crucial. “Does the person have the right set of competencies required from a CEO?” -- that is the first and foremost question that any HR department must ask. Predicting shifts in business needs is can help organizations to create a pipeline of various types of leaders who can pick up the mantle when it comes to changing of the leadership. Some HiPOs might possess the quality of building a business and brands while others might be better at functional purposes and consolidation. If there is a sudden shift in business strategy the type of leadership that a business needs would also undergo a change. Depending on the type of change a business is facing talent managers can hire either internally or externally a CXO whose purpose and expertise matches with the needs of the company at the time. Roi highlighted three distinct types of CEO profiles which are: Leapfrogging CEO, Attacker, Fortification. A leapfrogging CEO is the one who helps accelerate inorganic growth, opens up new segment services and knows how to create new markets for her business. This type of a CEO personality is essential when a business is in its growth phase. An Attack CEO is “very good at building a relatively stable business.” The third type of CEO is a Turn-Around CEO who works best when the business needs an entire overhaul or restructuring. “First, we want to understand the CEO candidate within the context of the company lifecycle and strategy, and then it goes from there to team, culture and to individual character style and personality,” Roi said. For Prince, identifying the right talent using data and observations is the best way to figure out if the chosen HiPOs have what it takes. “Performance management helps get data on how a candidate manages a business, how she or he performs in management cycles, what are some ways in which they manage failure and how do they as a leader manage emotions,” said Prince. Choosing your top leadership on the basis of a “gut feeling” might not be the best strategy, said Prince. It is important to observe the HiPOs performance levels, the manner in which she or he handles work pressure, various demands from a range of stakeholders and then come to a decision based on a variety of metrics. “You should have metrics but you should not become a prisoner of metrics,” said Prince. Leadership Agility is a helpful metric to predict future performance of an individual, according to Roi. Getting feedback from the staff and senior leadership executives could also help to a certain extent to measure a high potential individual's performance, he added. Along with measuring the performance of high potential individuals, it is crucial to check whether they are all interested in becoming CEOs. Some might be more passionate about being a functional head and leading strategic changes. “If you are able to align purpose of people with the purpose of the organization you actually would be able to come up with a winning proposition,” said Prince. Business asks are going to evolve and that is precisely why leadership agility is essential to the growth of an organization along with operational agility, Roi said. A successful CEO needs to be versatile and have experiences from across the board. For example, if a particularly high potential individual is educated in finance and is brought up in the organization through financing, accounting and budgeting, she or he might become a perfect CFO for the organization. However, expanding into the role of a CEO might require developing new capabilities that are unrelated to their field of expertise. Capability building can translate into equipping high potential individuals with competencies that they probably didn’t possess prior to their training program. Digital dexterity is one such competency that both employees and leaders can pick up, according to Prince. Reskilling a workforce within an organization--especially when it comes to--developing the next CXOs. For Roi, the question goes beyond digital. “It is an issue of reskilling and upskilling a workforce around what really matters for technological enablement for your business strategy, and then to overtly invest in that,” Roi said. Roi recommends aspiring CEOs who are currently the CHROs or HR leaders in their respective organizations to start expanding their horizons to build up their business, operational, financial and commercial acumen in order to be ready to fulfill a holistic role like that of a CEO. He also urges HR professionals to break out of the “HR speak” and connect with the larger goals of a company. At the same time, Prince advises HR professionals to become “open and reflective” to be able to build a better and more robust skillset. Additionally, Bakshi recommends HR leaders to strike a balance between people agenda and business considerations in order to embark upon the path of becoming a successful CEO. There’s no denying the fact that building capabilities of high potential individuals in an organization will go a long way in not only developing successful CXOs but also provide a stable and agile leadership to businesses. Register for Aisa’s largest HR technology conference TechHR Singapore, on February 28, 2019.